You are here: Home › News › News › Support Sylvia Rivera’s Outlaws bowling for FIERCE! 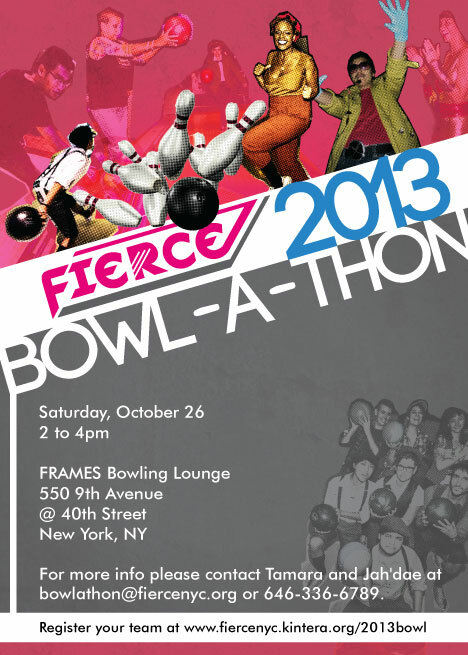 Support Sylvia Rivera’s Outlaws bowling for FIERCE! Help us help FIERCE meet their fundraising goal and continue their incredible work building power and leadership among LGBTQ youth of color in NYC! We’re bowling on Saturday, October 26, and have five days to reach our $3,000 fundraising goal. So far we’ve raised $1,847. Can you help us in the home stretch? Click here to find out more about FIERCE and how to get involved! To support our team, donate here. We’re so excited to be able to support our FIERCE family. We hope you’ll join us! Director of Grassroots Fundraising, Ola Osaze, says goodbye to SRLP! One Response to Support Sylvia Rivera’s Outlaws bowling for FIERCE!